This attachment can replace a hand labor work crew. 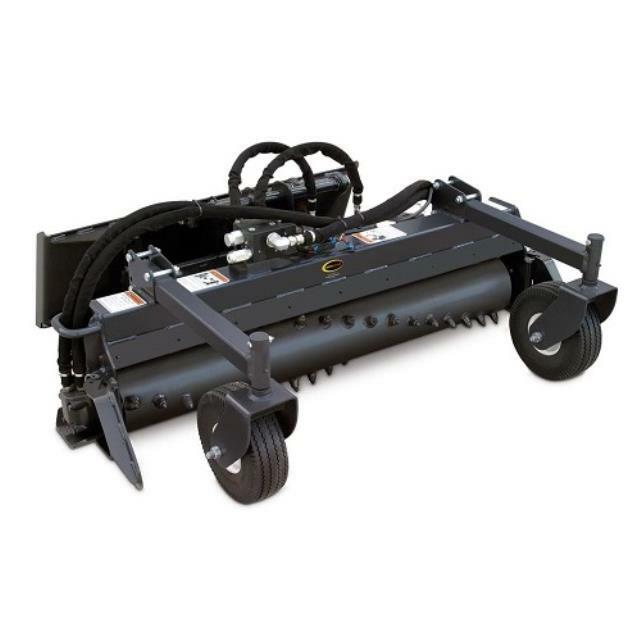 This versatile unit rakes stones and debris to either side or straight ahead for easy pickup. Aggressive teeth on the large diameter rotor pulverize soil like an ordinary tiller, with the benefit of faster ground speed. The counter-rotating rotor moves soil ahead of it as it tills, filling in low spots and chewing off high spots. It creates perfect seedbeds and windrows. The Mini Soil Conditioner separates rocks, tears up sod, and pulverizes dirt clods. Will rake and till as deep as 2.5" deep.